VUMC IT organizes quarterly events for our employees to assist with internal VUMC adult hospital needs. In Fiscal Year 2018 we donated magazines and clothing to the Emergency Department. 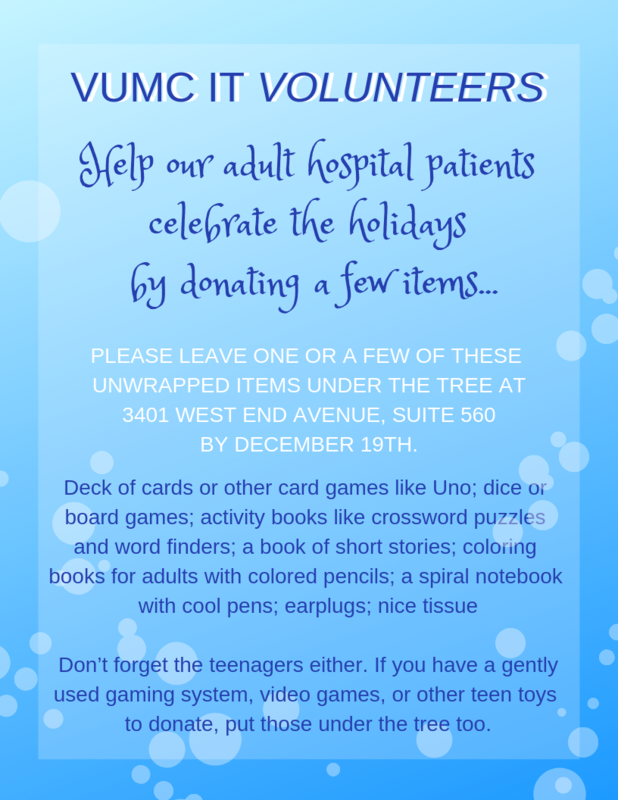 Additionally, VUMC IT staff got together and made blankets for adult patients at the hospital, as well as over 150 hand-made cards for nurses to give to patients and their families . At Christmas time, VUMC IT staff donated food to Second Harvest Food bank.